Connecticut Records – Connecticut Professional Genealogists Council, Inc.
Because Connecticut began keeping records nearly 400 years ago, you can expect some unusual organization of those records. 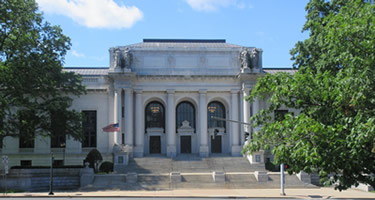 The Connecticut State Library (CSL) is a repository of many historic records (though many are still kept at the town level). Be sure to investigate the CSL website regarding their holdings. Here are some tips for accessing Connecticut records. Records of the Colony of Connecticut are held at the CSL. Records of the State of Connecticut are held at the CSL. Check out the Connecticut Town Guide created by the CSL to find what records exist for the town you are researching. Land and vital records have always been created at the town level. That means you need to know when the town was founded and from what earlier town (if any) it was created. Consult the List of Connecticut Towns for details. Vital records for all towns have been microfilmed up to about 1900. These films are available at the CSL and many have been digitized and are available at FamilySearch.org. Many land records have also been microfilmed. These films are available at the CSL and many have been digitized by FamilySearch.org. More recently, many town clerks have begun digitizing land records. For Connecticut death records, see the Connecticut Death Records Index 1897-1966. See also the Connecticut Death Index, 1949-2012 at Ancestry.com ($). For Connecticut marriage records, see the Connecticut Marriage Records Index 1897-1966. See also the Connecticut, Marriage Index, 1959-2012 at Ancestry.com ($). Probate records are created by probate districts which comprise one or more towns. The boundaries of these districts have changed many times. To find records it is necessary to identify the district in which a deceased person owned property. Some probate courts still hold all of their historical records. Others, especially consolidated ones, have sent their historical records to the CSL. For more information, see the Connecticut State Library Guide to Probate Records. Digital images of probate records on microfilm held at the CSL (probate court record books and probate files—loose papers) are now online at Ancestry.com ($). Note that these are not all of the records that may be available, only the ones that have been microfilmed. Church records, especially those of the Congregational Churches, can be valuable substitutes for vital records of Colonial residents. The CSL has created indexes of the records of many Congregational and some Episcopal parishes. Many of these indexes have been digitized and can be viewed at Ancestry.com ($). Check with CSL to find out where unindexed records might be located. What are Connecticut records access laws? Probate records are public records and the original documents may be viewed at the probate court or at the CSL if they have been sent there. Land records and town records are open to the public and can be viewed at the town clerk office in the relevant town. Land records up to about 1925 are on microfilm which can be viewed at the CSL. Check the catalog at FamilySearch.org for availability of digital images. Vital records can be obtained at the town clerk office (or office of vital statistics in certain cities) in the relevant town. The state Office of Vital Statistics has copies of all vital records generated 1897 and later and can issue certified copies. Birth records more than 100 years old, and all marriage and death records are available for purchase by the public with no restrictions. Birth records less than 100 years old are restricted. By law, only certified copies are permitted by any jurisdiction. These cost $20 ($30 for long-form birth certificate at the state office). The right to research in vital records (that is, to go into an office and browse through the records, including birth records less than 100 years old) is restricted to members of genealogy societies that are incorporated in the state of Connecticut. The CSL maintains a list of approved societies.